Achieving thicker arches is a constant battle. From magic serums to liners, powders, and brow gels, faking that full brow can seem like a full-time job (and a ton of products!). Overplucking in my high school years has led me on an endless hunt of products and potions to get my brows to grow thick and full…and up (my brows grow down – it’s a disaster. More on that in another post). So, I try lots of brow products. Scratch that: I try every brow product. I go through phases of having favorites, and this month, it happens to be Lashfood BrowFood Tinted Brow Enhancing Gelfix. I kid you not: this stuff makes my brows lay upright all day long and the brown tint adds the perfect amount of color to give you look-at-me-brows. The applicator is small, just the way I like it for my brows, and it’s dual-sided, so the short side is great for sparse areas and the longer bristles make a single swipe on thick areas a breeze. But the thing that I love most about this gel is that I can actually see the fibers on the applicator and then I see them transfer to my brows. So it gives the illusion of more hair, thicker hair; a full brow. And bonus: with continued use, Lashfood’s potent peptide blend – a.k.a. their Nano-Peptide Complex – actually helps your own brow hairs grow. It’s literally a dream brow product. Yes, you can still use your favorite brow pencil or powder to fill in sparse areas, but this tinted gel is so good, I find myself not needing to go the extra step. Remember: For the thickest brows possible, apply brow gel from tail to inner corner (to fluff them), then back from inner corner to tail (to set them). 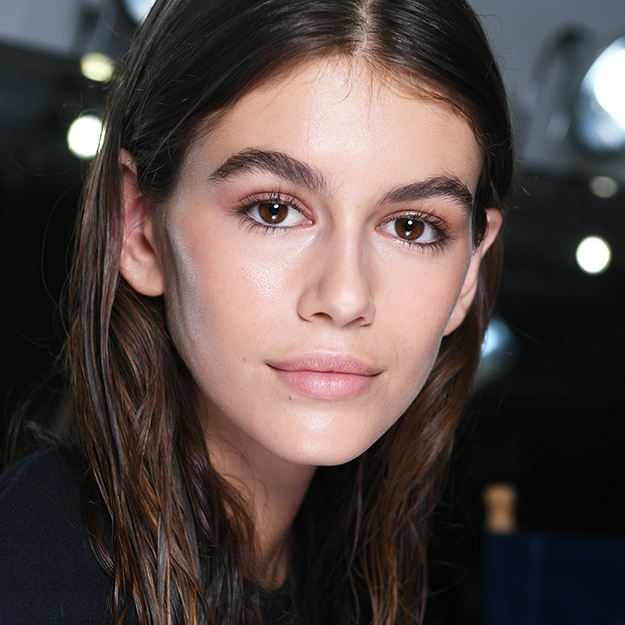 This trick – along with Lashfood’s BrowFood Tinted Brow Enhancing Gelfix – has almost helped me achieve Cindy Crawford/ Kaia Gerber brows. Not really, but a girl can dream. It’s the closest they’ve come, though, and that’s the truth.